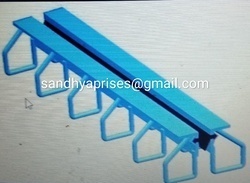 Offering you a complete choice of products which include neoprene strip seal expansion joint, 100mm edges beam compression seal expansion joint, single strip seal expansion joint for bridge, canal over bridge strip seal expansion joint, bridge strip seal expansion joint and strip seal expansion joint. 1. 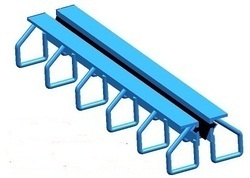 Edge beam shall be placed in such a manner that the grooves are positioned properly. 2. Steel structure and main reinforcement shall be anchored with proper welding. 3. 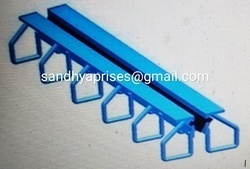 Alignment shall be checked for both steel structures, if required by using suitable device. 4. Recess shall be filled with high quality of the concrete not less than M 35 grade. 5. If any installation brackets were used, shall be removed after the concrete has cured. 6. 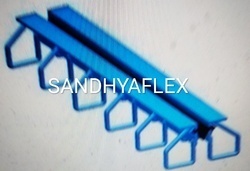 SANDHYAFLEX elastomeric strip seal shall be cut into the required length and inserted between the beams by using the proper device and to be ensured that the bulb of the seal is getting into the steel grooves of the both edge beams. 7. 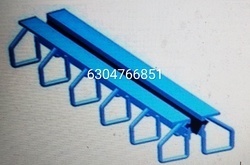 When the recess concrete has become set, a sturdy ramp shall be placed over the joint to protect the exposed steel beams and the elastomeric seal from the traffic. 8. Without carriageway surfacing, expansion joint shall not be exposed to traffic loading. 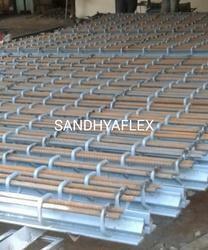 Looking for Strip Seal Expansion Joint ?